It’s great when your cat hangs out with you while you binge watch through the latest must-see TV series, but there are also a bunch of shows and videos created with the sole intention of entertaining your cat. 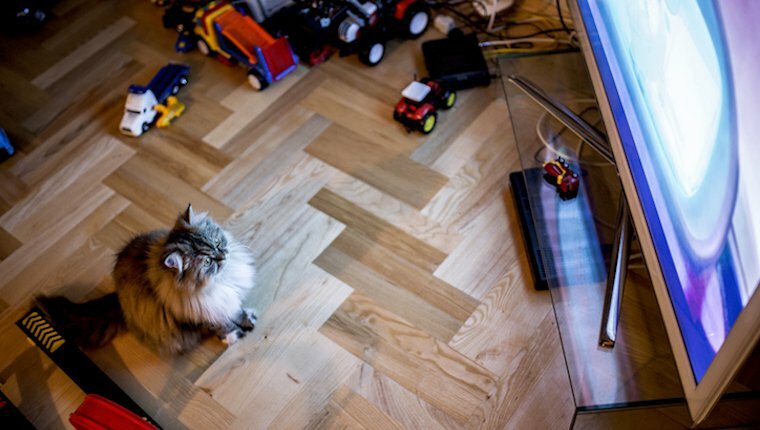 Here’s a round up of five streaming shows you can screen for your feline right now. Let your indoor cat get in on all the rustic beauty of the fall season by checking out this video featuring red-breasted birds hopping in and out of the screen and chirping. Apparently, it’s just the sort of action to relax your cat. Does your cat seem to suffer from bouts of anxiety or stress when you leave the house? Well, try leaving TV For Cats! running the next time you pop out or head to work. Along with soothing visuals, the footage includes a symphonic soundtrack designed to instill calm, serene feelings in your cat. Cat Games is based around a simple premise: Black mice scurry across a yellow, cheese-themed backdrop with the intention of catching the attention of your own cat. With nearly 14 million views to date, it’s a formula that seems to be working, although don’t blame me if your beloved feline scratches up your iPad or computer screen. More action: A fish-themed version is also available to play. Does your feline harbor dreams of dipping her paw into a pool full of fish, all in the name of sport? Well, Swimming Fish For Cats might be exactly what your cat is after, as a large number of fish sashay across the screen for a whopping three hours. Perfect for some weekend binge watching, this 15 minute video stars a furry rodent who scuttles onto the screen to scarf down a snack. It’s said to be an irresistible scene for all discerning feline armchair viewers. Do you leave any shows or videos running for your kitty while you’re away? Which shows are your cat’s favorite? Let us know in the comments below!